Veteran journalist was among the first to trade traditional media for the dynamic world of new media. This is the first interview in a series of articles about China’s WeMedia content creators. 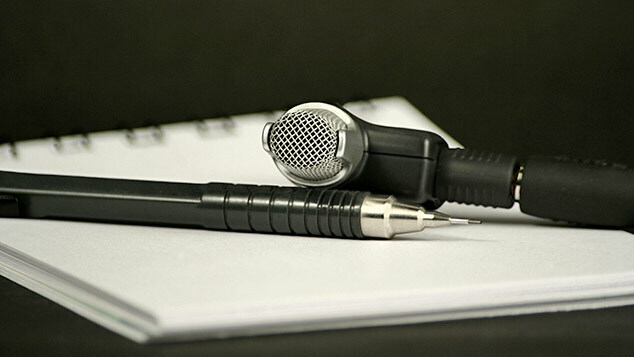 You can find interviews two, three, four, and five here. When Xu Jun enters the meeting room at his slick offices on the outskirts of Shanghai, he is holding two smartphones and a large power bank. For a person like him, staying connected is imperative. 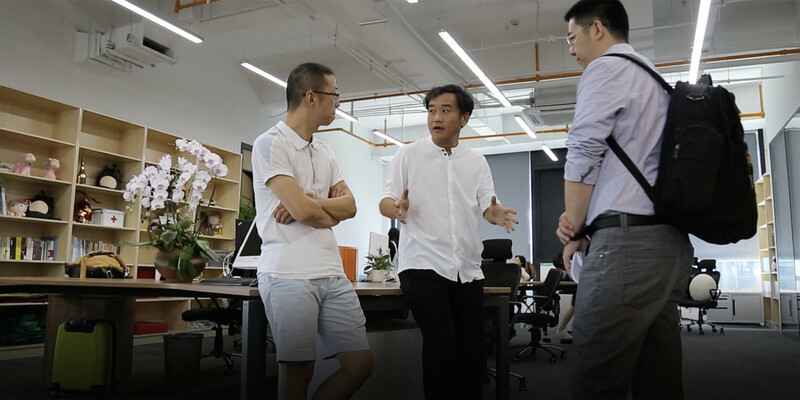 His company, New Rank, has been tracking WeChat trends since 2014 and sharing their findings with the burgeoning ranks of China’s content entrepreneurs. 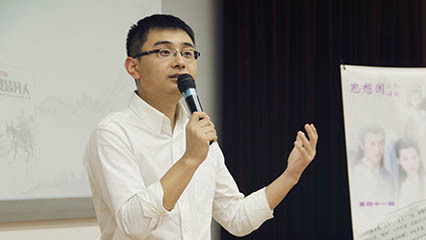 Born in 1977 in Anhui province, in eastern China, Xu — who is known widely by his pen name Xu Danei — graduated with a journalism degree from Shanghai’s prestigious Fudan University. He worked first as a journalist and later as deputy director of the Oriental Morning Post, a publication belonging to the Shanghai United Media Group, Sixth Tone’s parent company. Xu Jun of ‘New Rank’ on what is driving forward China’s WeMedia movement. New Rank puts Xu in an ideal position from which to observe developments in China’s media landscape in flux. Dwindling readership and shrinking ad revenues, and high costs of printing and distributing, have forced a number of newspapers and magazines to either shut down or completely convert to digital media. The latest case is Xu’s former employer, the Oriental Morning Post, which also falls under the umbrella of Shanghai United Media Group. The newspaper announced in August that it would stop publishing beginning next year, with all staff going to The Paper, a digital-only Chinese-language platform and Sixth Tone’s sister publication. 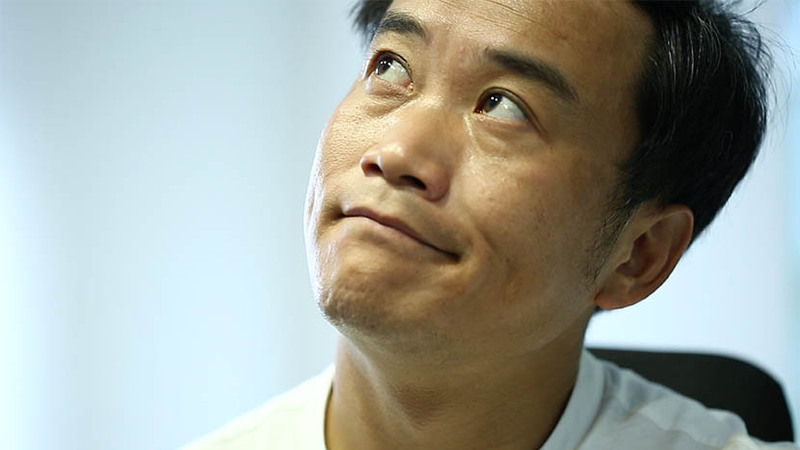 Xu told Sixth Tone that he didn’t leave traditional media out of any sense of desperation. Instead, his desire to set up new media companies was spurred by a keen sense of interest in a sector full of possibilities. Compared with traditional media, social media doesn’t entail the same level of printing and distribution costs as print media. 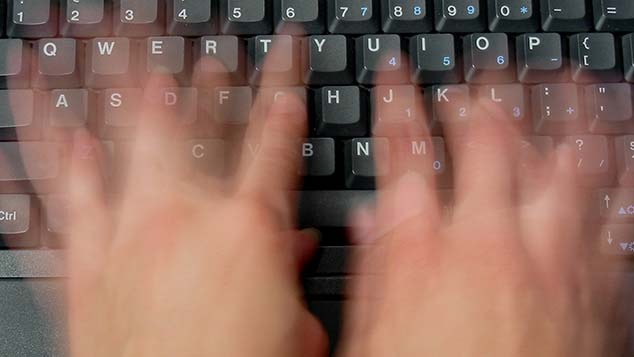 Online content also reaches users instantaneously. This means WeMedia ventures require less manpower than traditional media, which is why mobile internet in particular has led to the arrival of a large number of individual content producers capable of disseminating their messages to a huge volume of recipients via mobile internet platforms. New Rank was Xu’s third venture after he left traditional media in 2008. The first was a data visualization firm that he invested in in 2004. The profits earned from this side project allowed him to quit his reporting job. Later, Xu became a columnist for Financial Times Chinese, where he wrote about media. He has since expanded his analysis and observation into his current venture, New Rank, which focuses on monitoring and analyzing trends in China’s new media landscape. 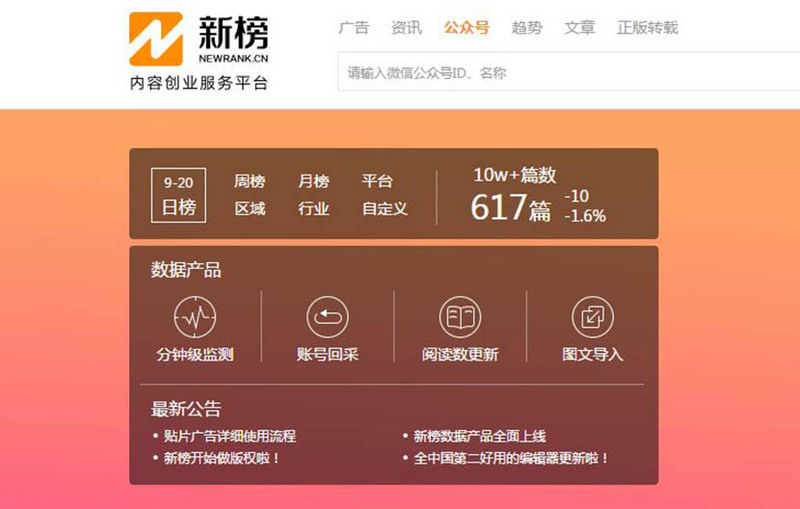 A screenshot of New Rank’s website shows the number of posts viewed over 100,000 times on WeChat. Xu and his colleagues rank the top 500 WeChat public accounts on a daily basis according to the popularity of their content. Some of them are created by traditional media giants, such as party newspaper People’s Daily and state broadcaster China Central Television, but many are run by individuals and emerging organizations. Last year, Xu coined the term “neirong chuangye” — content entrepreneurship — in an effort to better describe the new realities of China’s media market. It started from WeMedia but also carries content produced by innovative media institutions and companies. So far, it seems that while China’s new media landscape has given rise to more grassroots voices, they haven’t filled the void left by the traditional media. “As a journalist, I feel sad about it. But perhaps it doesn’t matter. Maybe this is an inevitable stage in the development of society,” he said, adding that perhaps after a while people will re-examine the problem and find a solution. And as new forms of content — namely, short videos and live broadcasts — have entered the competition this year, Xu predicts the competition in content entrepreneurship will become more intense, forcing some to leave the business in as soon as one or two years from now. Additional reporting by Colum Murphy and Dong Heng. With contributions from Zhou Yinan and Qi Yue.